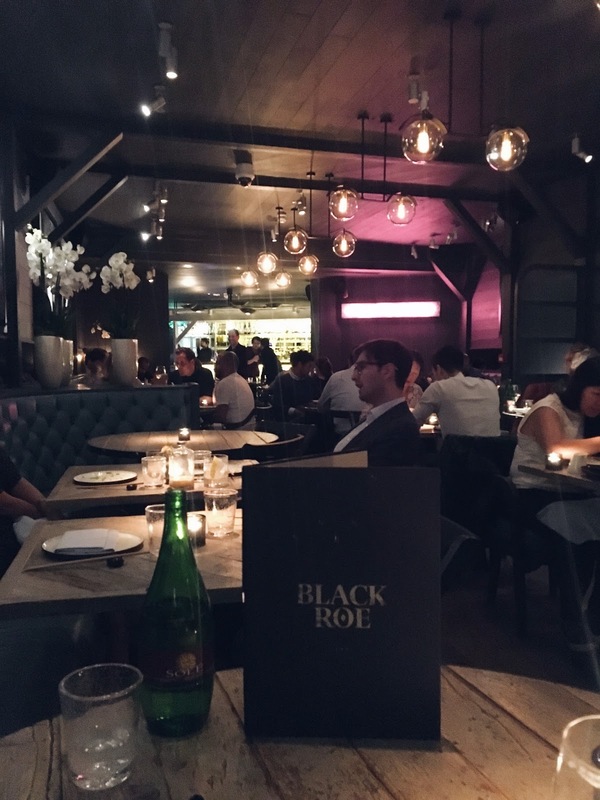 Anyone asking me for a restaurant recommendation, for the foreseeable future, will be directed to Black Roe. 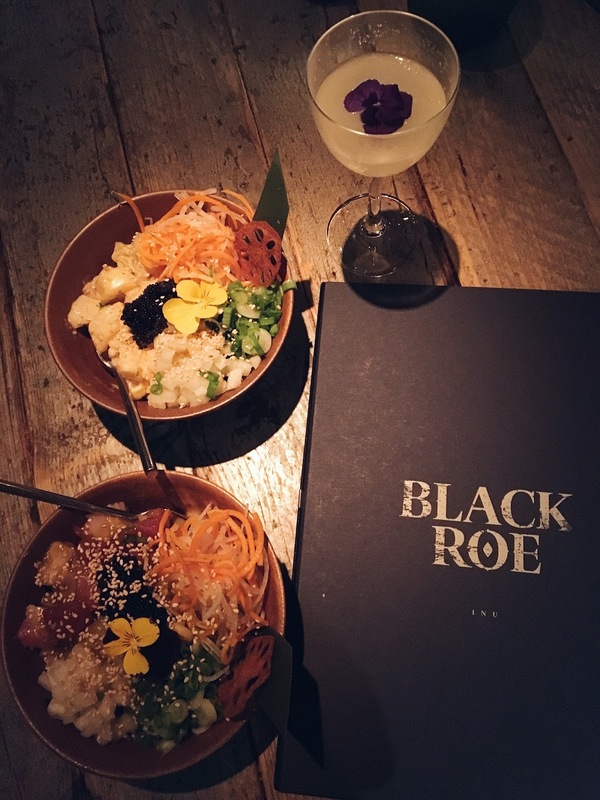 You might remember that I recently fell in love with the food at Chotto Matte, well Black Roe is their sister restaurant and it is INCREDIBLE. 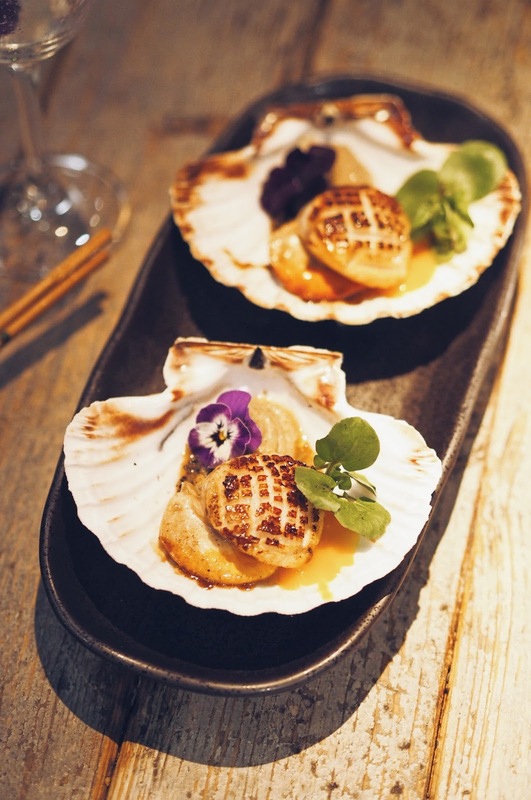 The food is a fusion of Japanese/Hawaiian cuisine and it's all set in an ultra-trendy dining room in Mayfair - which plays deep house beats while you eat. Sounds perfect, right? 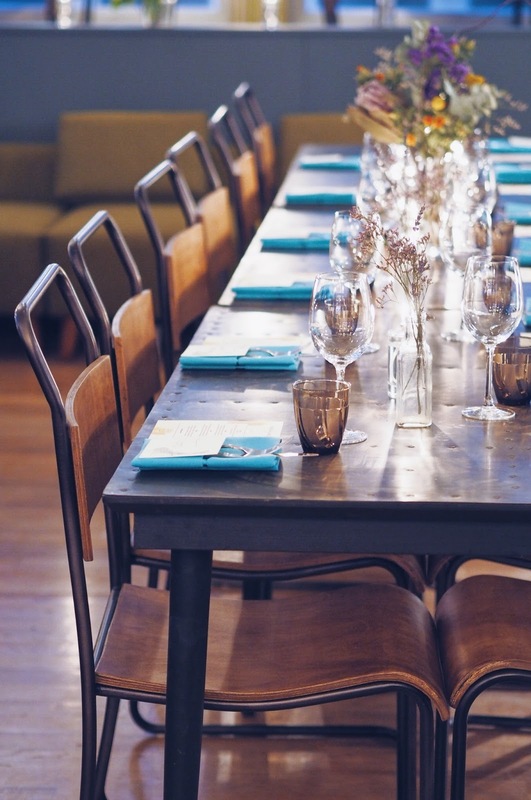 If you can, try and nab one of the banquettes which give you a great view of the restaurant and plenty of room! 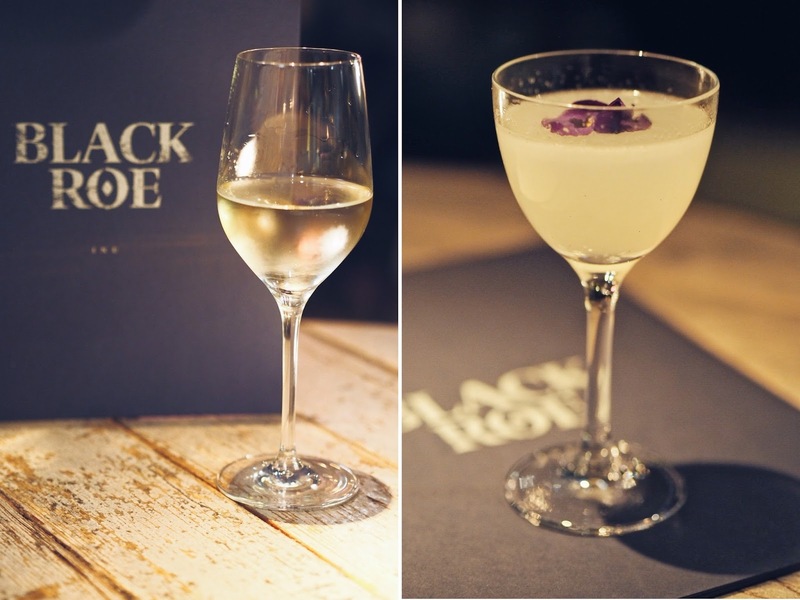 There's an extensive wine menu as well as some seriously good cocktails. You HAVE to try the HAU’OLI KA WAII - a gorgeous blend of Bombay sapphire gin, manzana verde, cucumber and spiced vanilla sugar. It's absolutely delicous - just don't ask me how you pronounce it! All the dishes are designed for sharing. Our waitress suggested we order around 4-5 dishes from the menu of pokes, appetizers, main courses and sides and each comes to the middle of the table once it's ready. 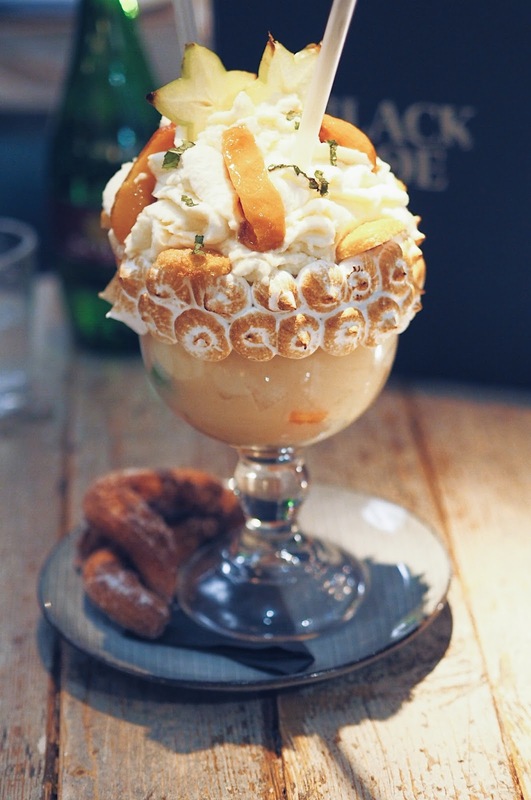 If you're not exactly sure what to go for, you can tell your waitress your likes and dislikes and they will build a bespoke menu designed on your tastes. It's a great way to explore the menu and try some of the things you'd usually overlook! 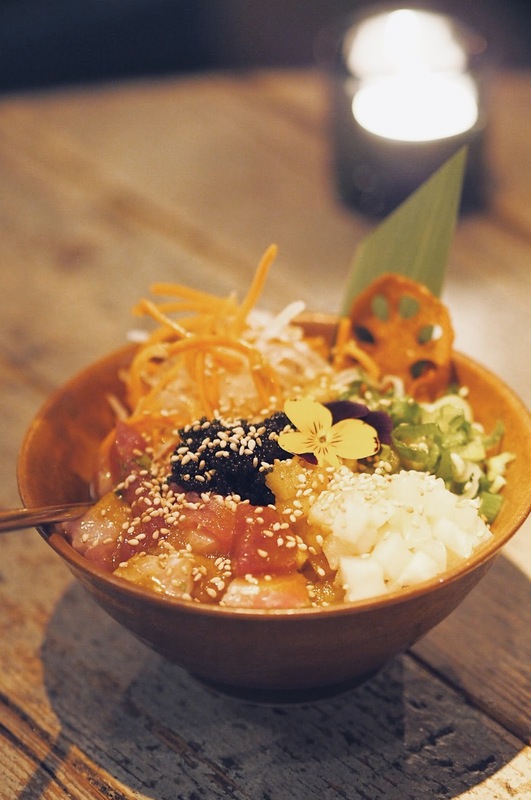 To kick things off, make sure you definitely try the poke - the restaurant's signature dish. One of the BIG dishes of 2017, Poke (pronounced poe-kay) is a traditional Hawaiian dish, combining rice with marinated cubes of fresh fish. It's a little like sushi and a little like a salad and it's so delicious. The signature 'Black Roe' ahi and yellowtail poke is a dream. Huge chunks of expertly diced tuna and a generous spoonful of black roe - super fresh and so tasty! 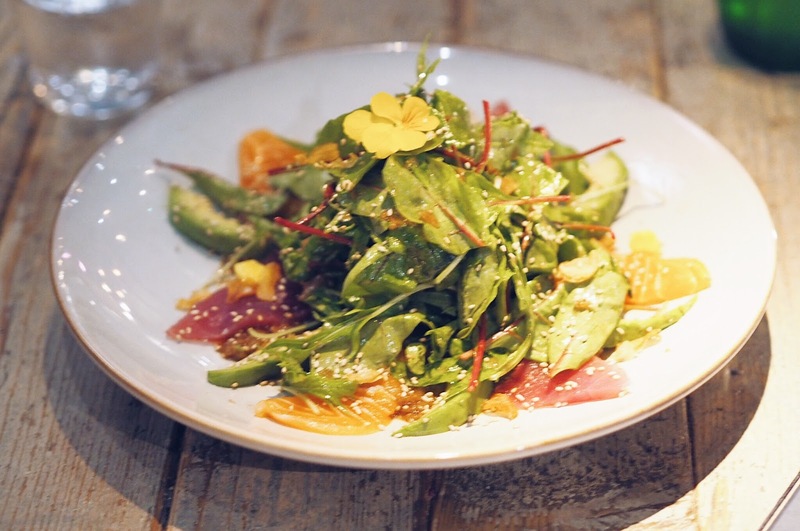 Another of my favourite dishes is the Ahi Sashimi Salad. 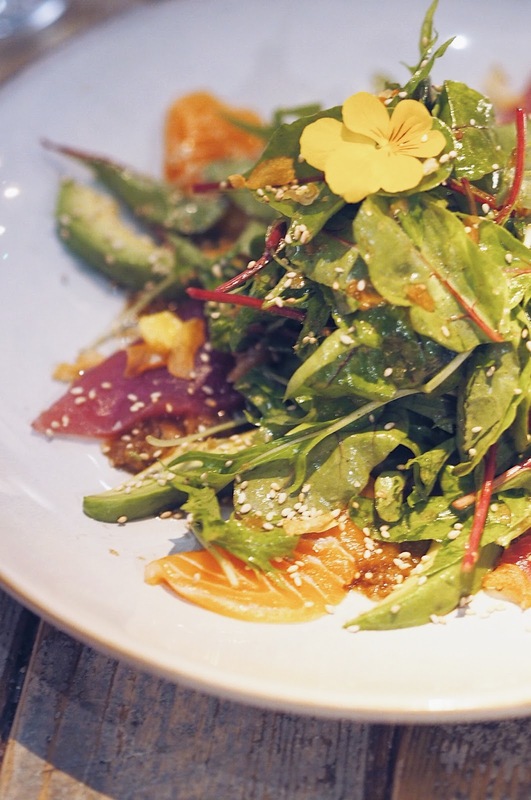 A simple, light salad with generous slices of avocado, salmon and tuna - all coated in a delicious onion dressing. It sounds simple but it honestly packs SO much flavour. Definitely one of those dishes I'd normally overlook but it ended up being one of the highlights of the meal. Next I'd highly recommend the scallops. You're served two huge scallops, in their shells, on a bed of black quinoa with a fruity mango salsa. They look beautiful and taste just incredible - a real Instagram-worthy dish. I wasn't overly fussed by the Octopus aioli, but I've never really been too keen on Octopus. Here it's served with a chili salsa which brings just the right amount of heat to the dish - just a little too tough in texture for me! 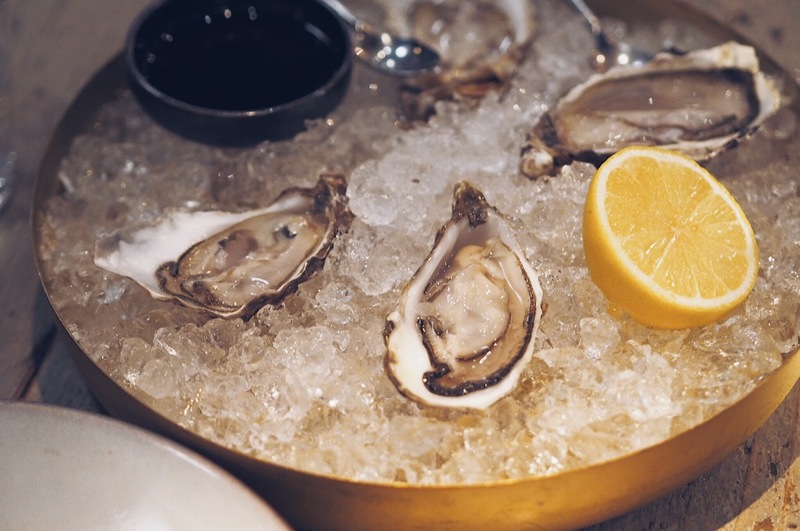 If you're really looking for a treat, order a round of oysters. These are super fresh, served on ice with a good squeeze of lemon and a delicious soy dressing. This was my first REAL taste of fresh oysters and I was honestly blown away. The taste and texture was completely different to what I was expecting (e.g. nothing like sea water) and I can't wait to try them again! 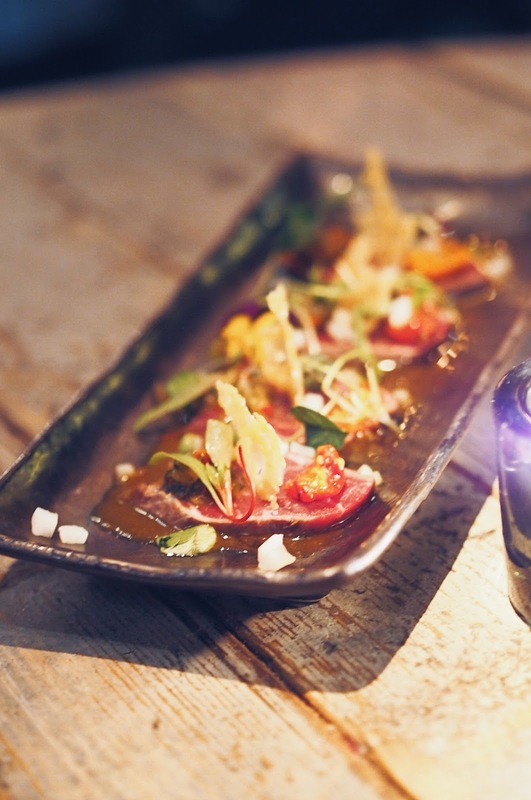 The beef fillet tataki is another excellent dish. The fillet is served rare, delicately carved into thin strips and presented with sun blush tomatoes, parmesan crisp and a salsa picante. You'll also want to order the prawn tempura. Huge king prawns, served with a coriander salsa and truffle aioli. 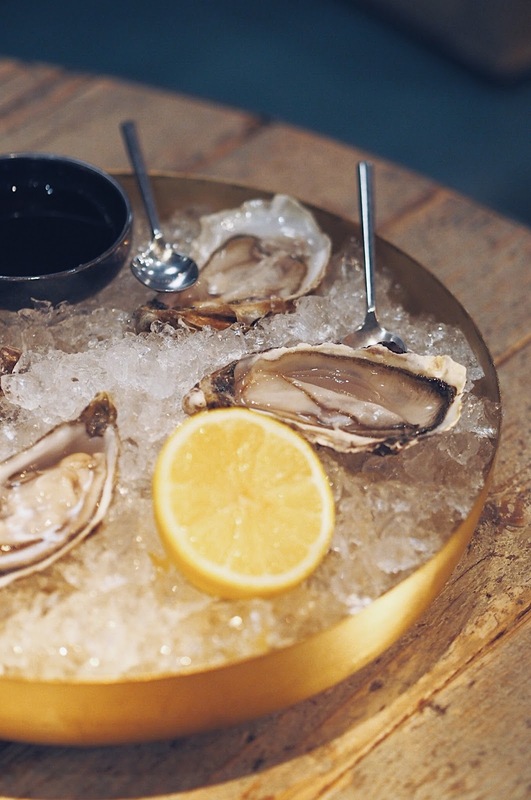 Crisp, juicy and absolutely drenched in flavour. 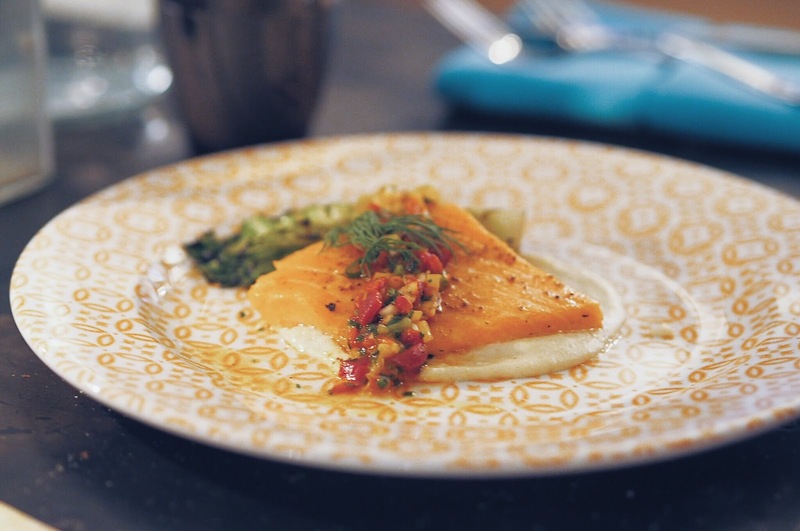 Moving into main course territory, there's plenty of fish options like the soy glazed salmon with pickled daikon and pineapple. 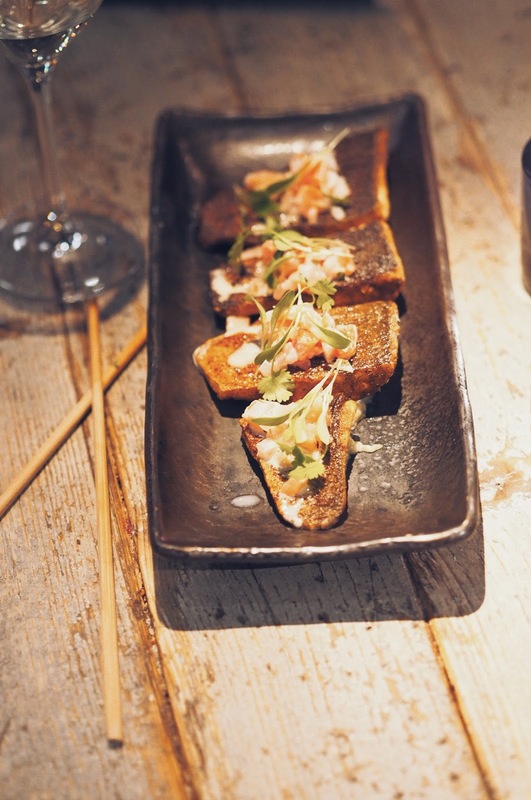 The skin is slightly charred giving a smokey flavour while the flakes of fish are delicate and super tender. 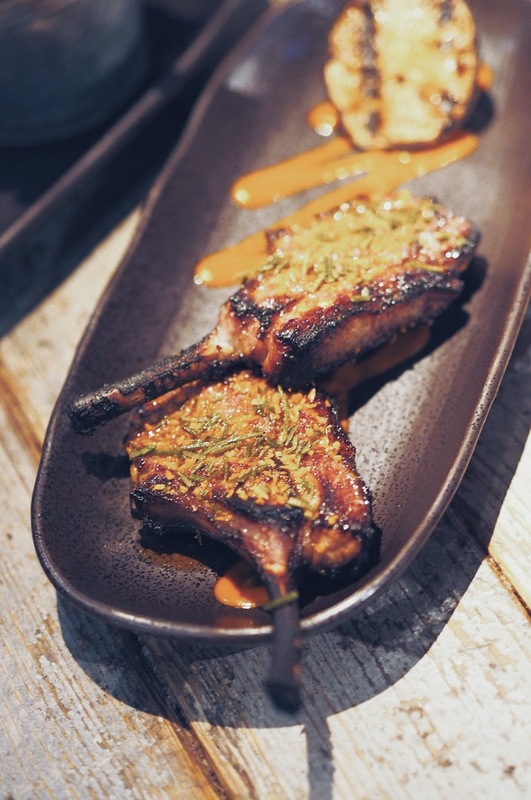 But if you're going to go for meat, you HAVE to order the smoky lamb rack. This was one of my favourite dishes of the evening. Perfectly pink in the centre and coated in charred, smokey spices. 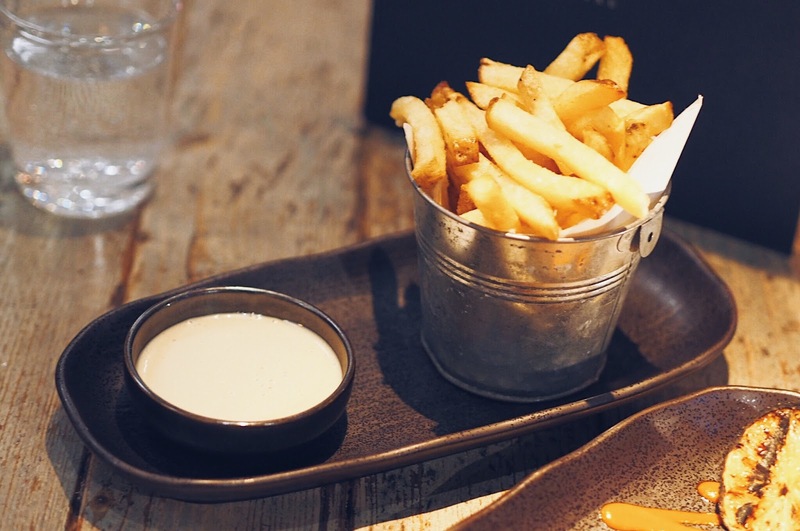 Perfect rounded off with a portion of the beef dripping fries with a ponzu mayo dip! A truly epic feast! A show-stopper of a dish.It's a real concoction of flavour. Cream, ice-cream, Italian meringue all piled in with fruit salad and sliced peaches. 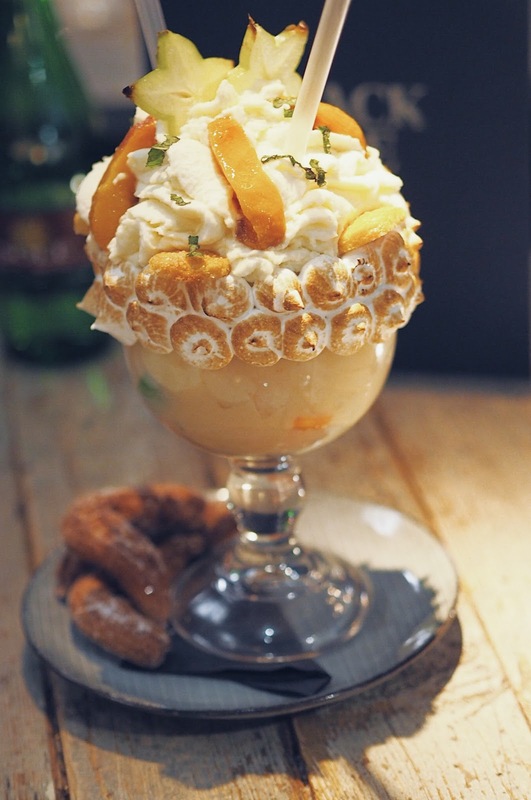 You can either dig in with your spoon or sip the fruit juices up through a straw - oh and don't forget the warm, baked churros! What a brilliant way to end an evening! 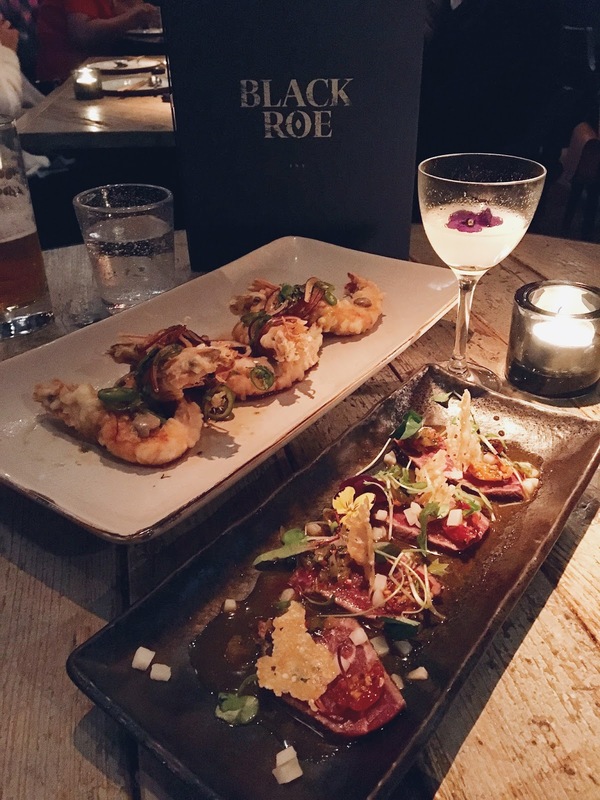 I honestly can't recommend Black Roe highly enough. 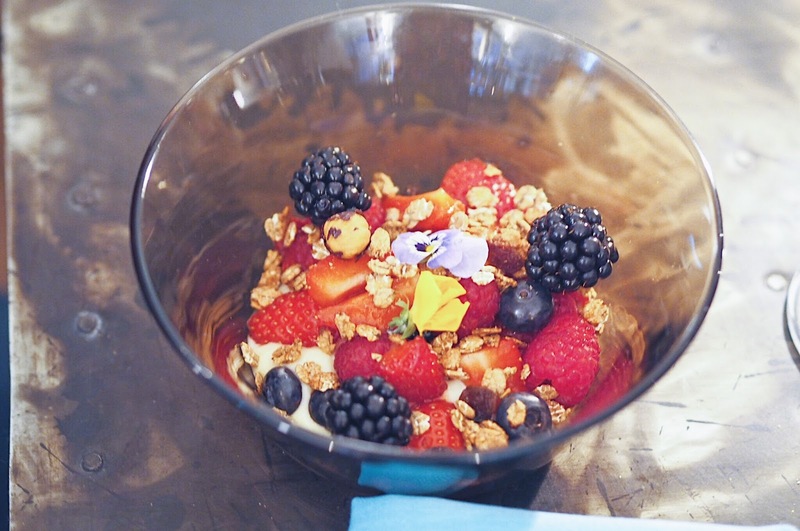 It's a little pricey, but it's Mayfair and the food is incredible so it's well worth a trip. Definitely one for a date night or anniversary - or just when you're looking to impress. YOUR FAVOURITE CHOCOLATE BAR IS NOW AVAILABLE AS A T-SHIRT! Want to know the way to this girl’s heart? Through chocolate and fashion of course – which is precisely why I am SO excited about the latest collaboration between Cadbury and Henry Holland. Yep. 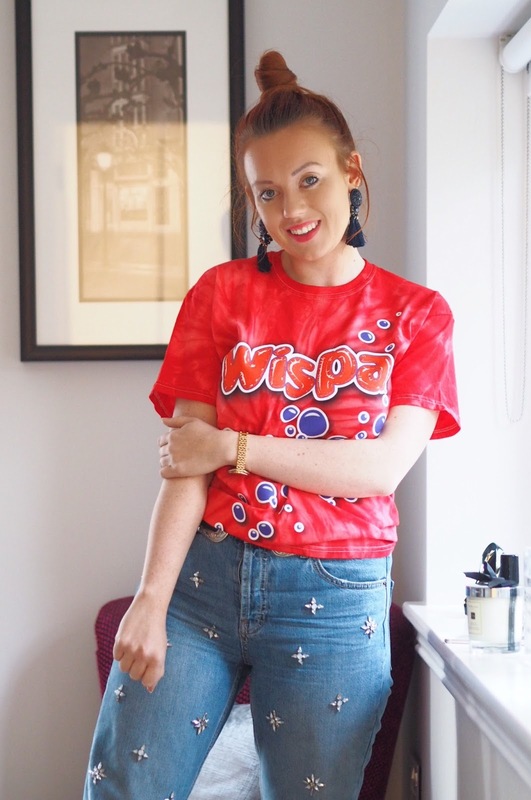 Henry Holland, of super trendy label House of Holland, has joined forces with Cadbury to design a series of T-shirts, taking inspiration from the nation’s favourite chocolate bars! Each unisex T-shirt has been designed to reflect the tastes and textures, we know and love of Cadbury’s chocolate. If you’re a crunchie fan – you’ll want the vibrant orange number, complete with illustrated shatters to represent the crushing honeycomb. Love a Double Decker? Then the purple and orange tie-dye number is for you! My personal favourite though? Wispa of course! 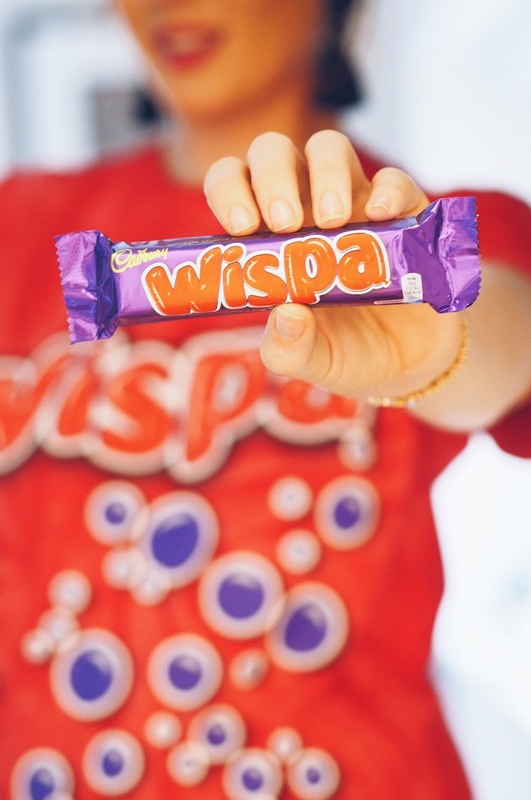 A lively blend of red and purple, complete with tiny bubbles, just like those found in a mouth-watering Wispa! I haven't been this excited about chocolate since....well, since Cadbury brought back Wispa! The T-shirts are super limited edition sand already sold out on the House of Holland website - BUT luckily for you, I have 5 shirts to giveaway! Simply enter using the Rafflecopter widget below and you could win the T-Shirt of your choice! Good luck! I'm not sure if it's because we're in the middle of renovating our cottage - or it's a sign I'm getting old - but I've started obsessing over interiors. I spend HOURS scrolling through the #InteriorGoals hashtag on Instagram and don't even get me started on the 74537 Pinterest boards I've created for almost every single room in the house. Well I've taken it to a whole level as I've found a restaurant, I'm determined to model my whole cottage on: Wringer and Mangle. 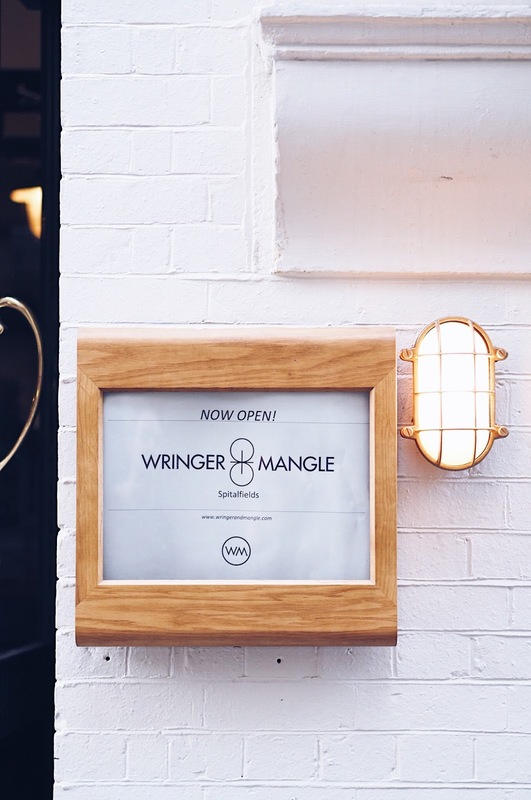 You might have heard of Wringer and Mangle before - the 'original' is over in London Fields and now they've just opened a second outpost in Spitalfields, a five minute walk from Liverpool Street Station. As soon as I stepped inside, I fell in love with the decor. 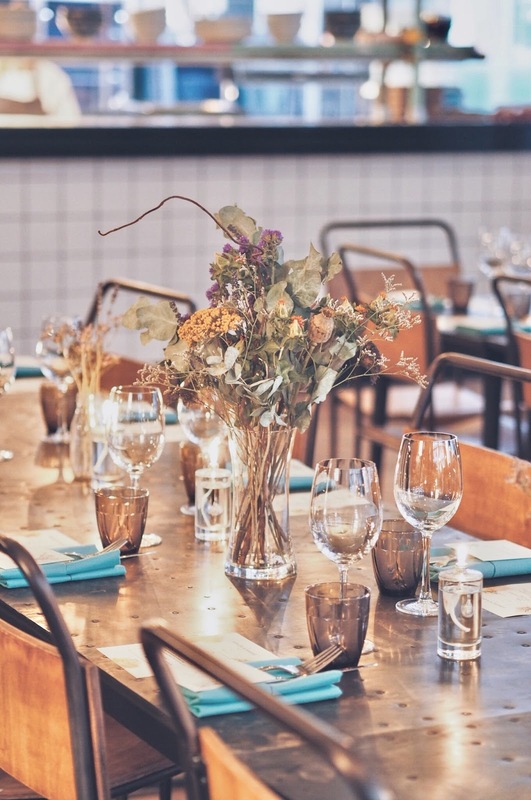 It's got a very industrial feel (in keeping with the trendy Shoreditch vibe) with exposed brick-work, wooden and steel panels and pops of greenery from the indoor shrubs dotted around the room. The venue is spread across two floors with the top floor providing all-day dining, whilst downstairs promises to be a destination night spot. 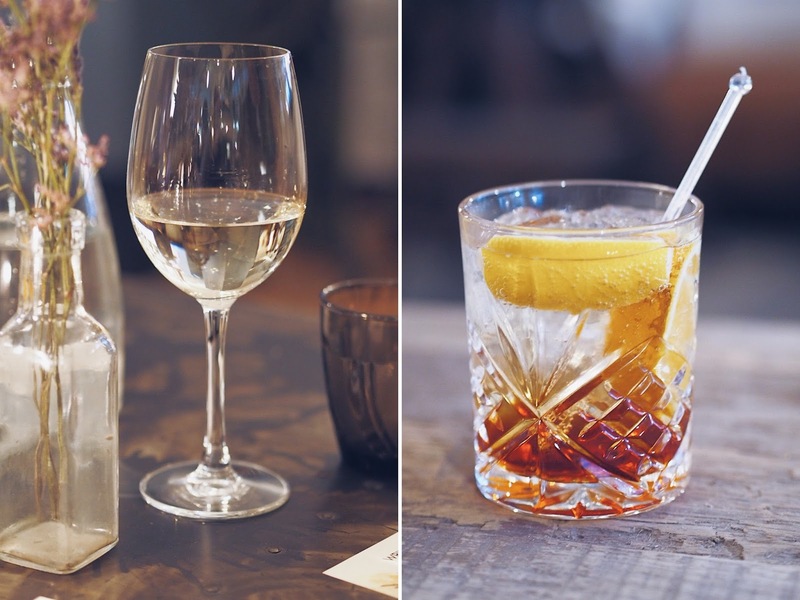 There's a well-stocked bar where you can head for drinks before your meal and sample the killer cocktails from the award-winning mixology team. Make sure you order the 'Locals Only' - a delicious take on an Aperol Spritz made with Stoli Vodka, Aperol, Montenegro, Cinzano and Segura Viudas Brut Reserva. 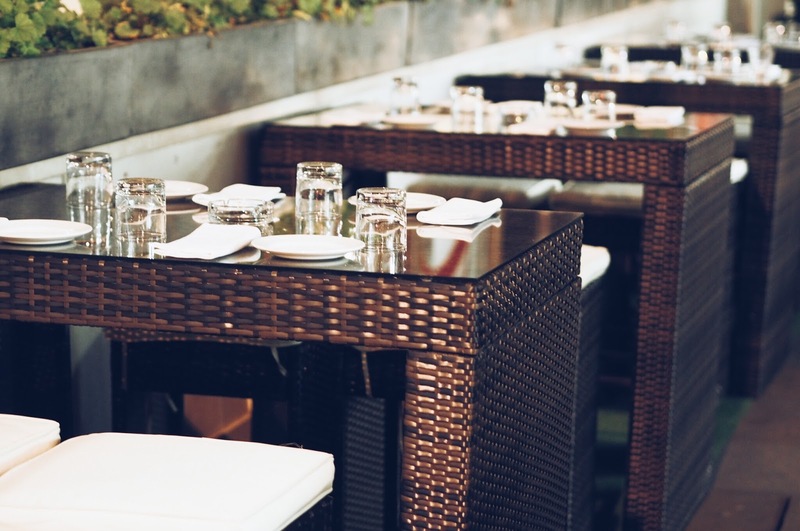 The restaurant itself focuses on serving home-cooked style food in a laid-back, relaxed setting. 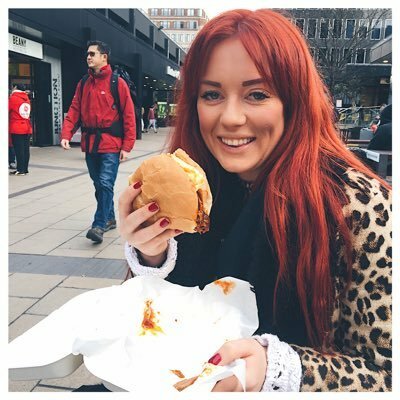 We were invited down to the launch to try the food before its official opening and I promise you'll love it. 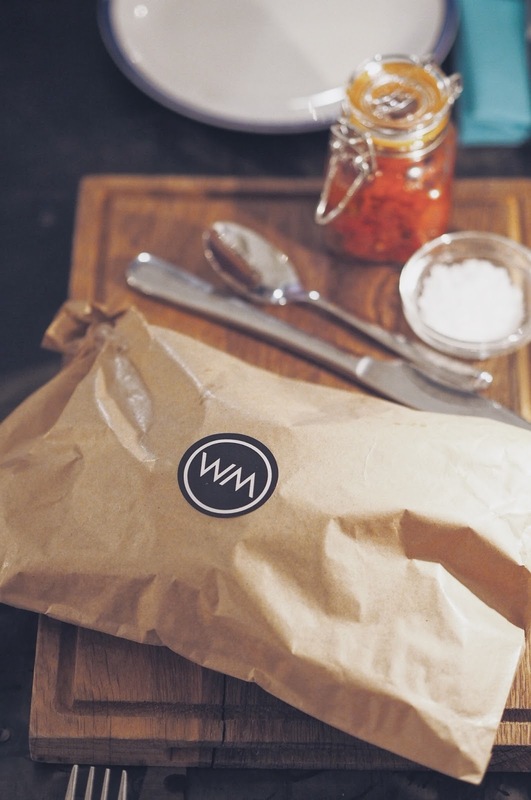 The team aims to use the finest cuts of meat and fresh vegetables every day, taking pride in sourcing the best possible ingredients. 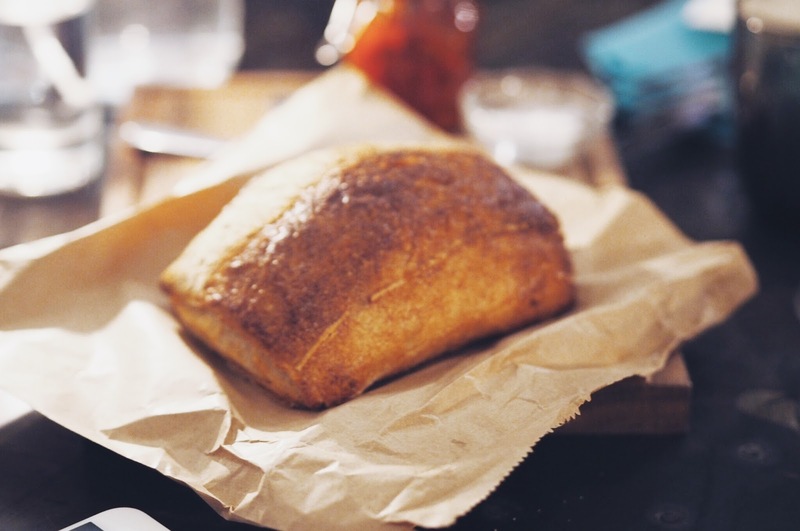 Everything is sourced as locally as possible - like the freshly baked bread which arrives at your table wrapped in brown paper bags, still warm from the oven. 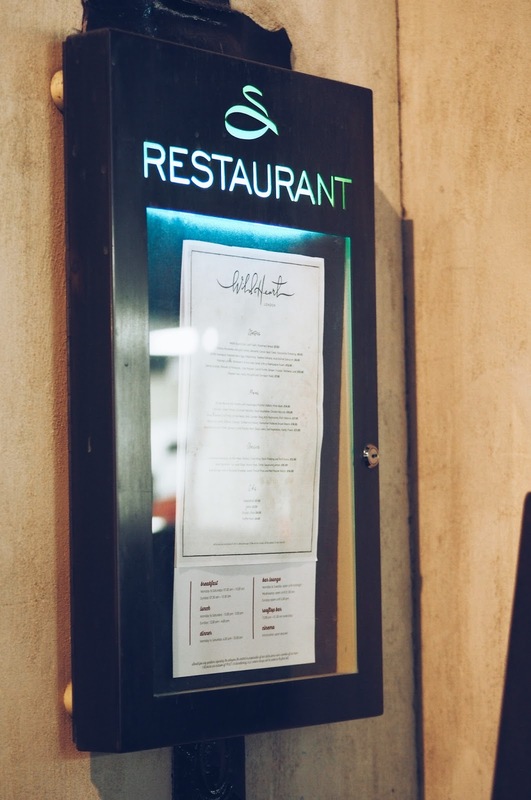 The menu is filled with simple ingredients, prepared in inventive ways. The 50 degree cooked salmon is delcious. 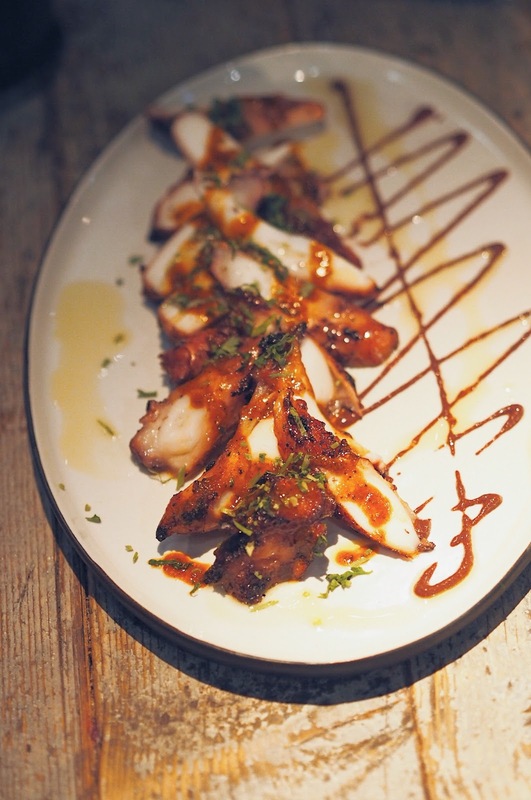 It comes served with a bread sauce, charred gem lettuce (which seems super trendy at the moment) and piquillo salsa. 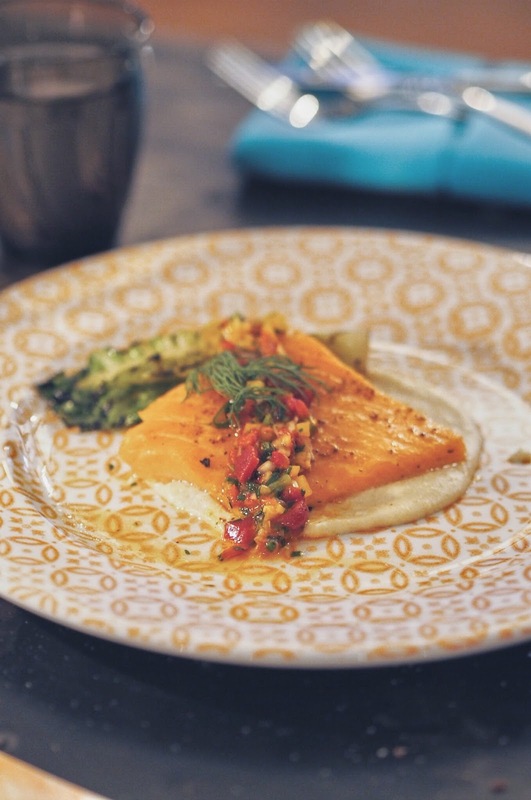 The fish is vacuum packed and cooked sous-vide until you're left with the most incredible, tender, flakes of salmon. The texture is almost a cross between poached and smoked salmon - super soft, tender and incredibly delicious. 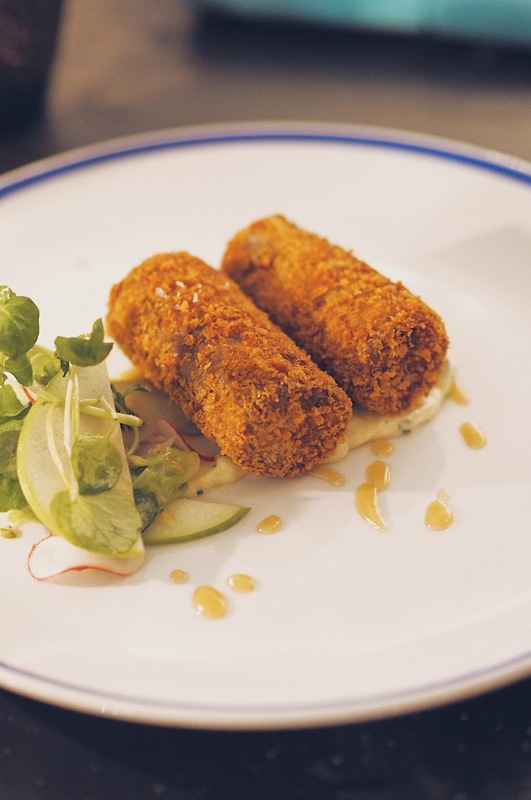 Meat-lovers will adore the crispy pigs head croquettes. Not only are they huge but they're packed with meat - perfectly crisp on the outside and deliciously fluffy within. The Merlot braised beef cheek is melt-in-the-mouth tender. 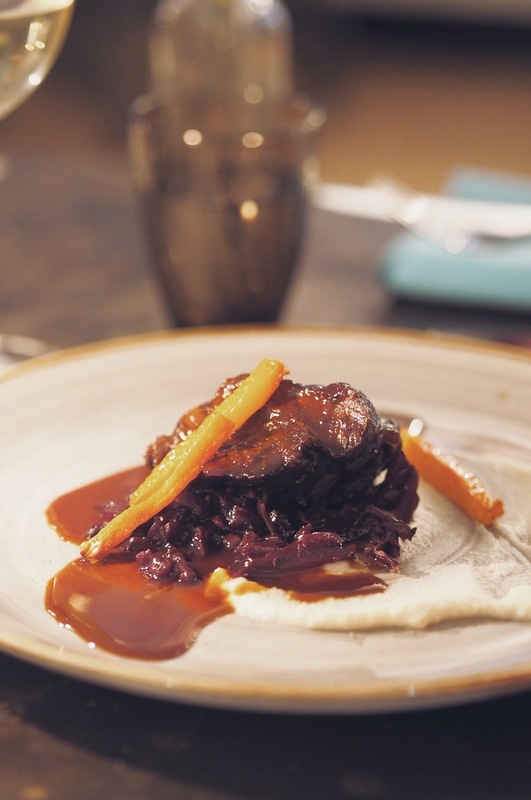 It arrives nestled on a bed of red cabbage and celeriac puree and is just the PERFECT dish for the colder weather. Comfort food at its finest. 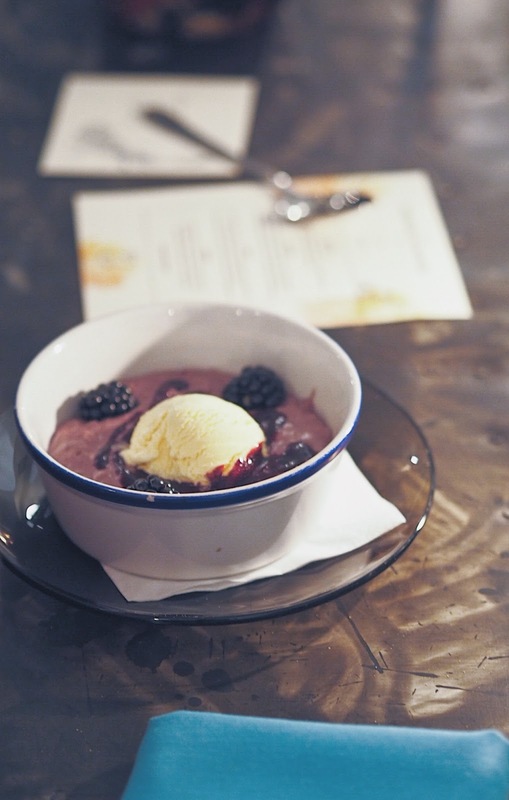 For pudding, the warm blackberry rice pudding is an autumnal DREAM. Served with clotted cream ice cream (yep! ), it's like a giant hug in a bowl. 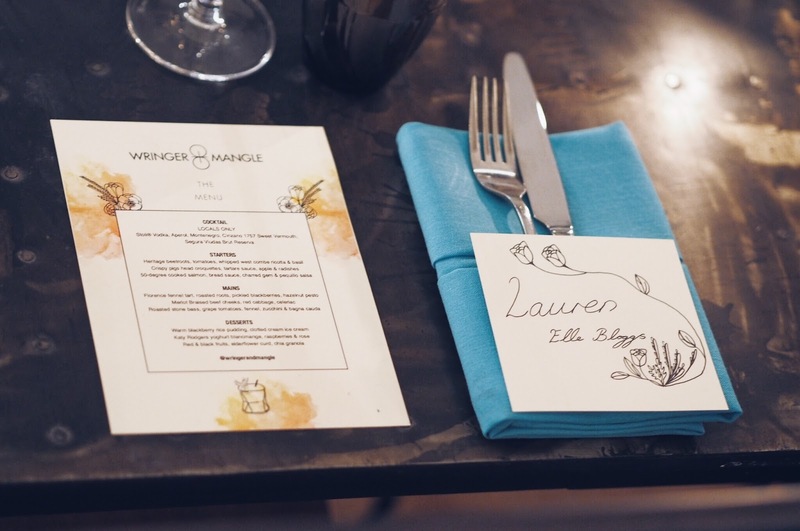 We had a fab evening at Wringer & Mangle. So much so, that by the time we'd finished chatting. we realised we were the only ones left in the restaurant! They're open 11am-11.30pm Monday to Wednesday, 11am - 1.30am on Thursdays and Friday and closed at the weekends! I feel like I'm constantly introducing my posts with apologies at the moment! 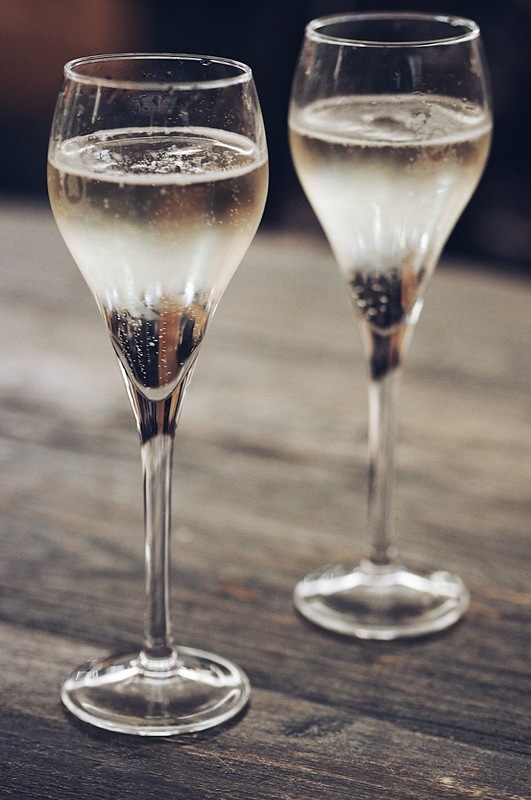 Tom and I are right in the thick of our house renovation so I'm really struggling to fit writing in with everything else going on BUT it has given me a chance to think about my blog and the way I'm sharing content with you. Some of my restaurant reviews are picture led - where the photos tell the story with few words from me - and some are really descriptive. 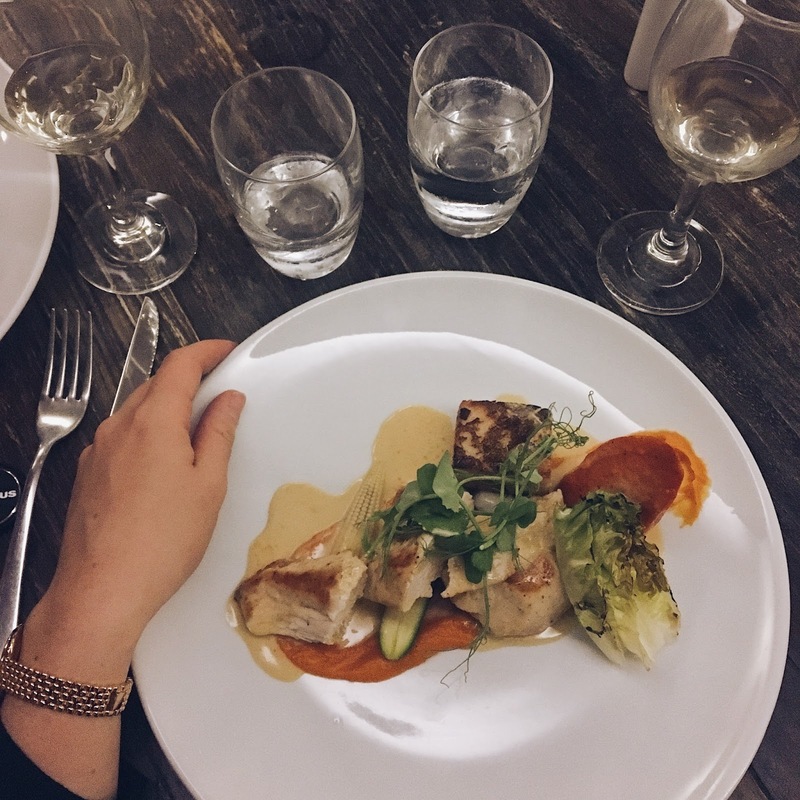 I want to share content which is useful for you so for the next few weeks I'm going to be sharing a new style of post - kicking off with my review of the Wildheart restaurant at the Soho Sanctum Hotel. 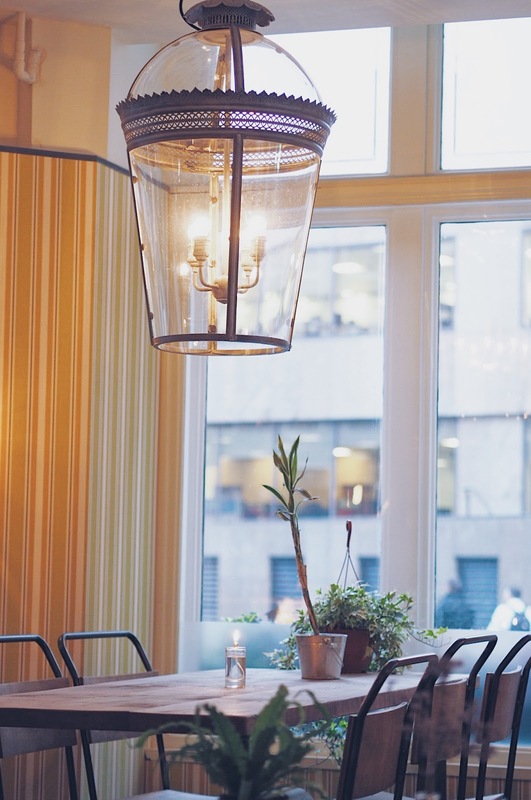 Wildheart is the restaurant at the recently renovated Soho Sanctum Hotel. It's got a real rock 'n' roll feel to it, with the Arctic Monkeys and the Kings of Leon on the sound-track and artwork of rock legends like Jimi Hendrix on the walls. 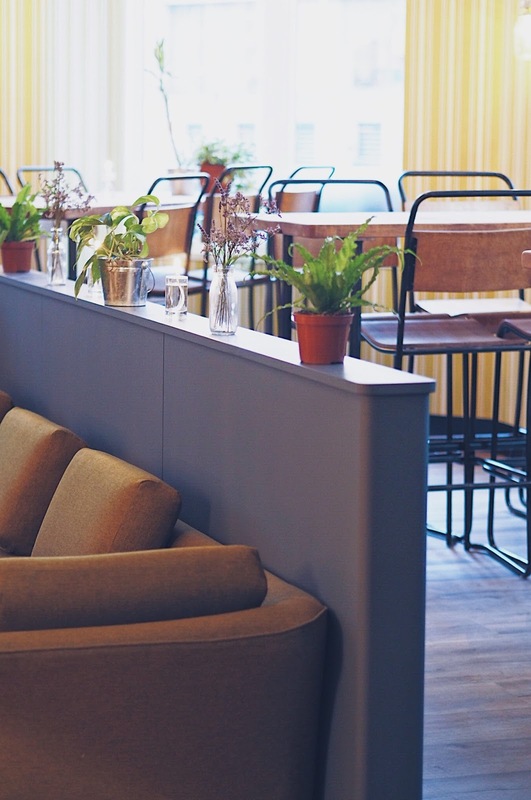 According to the website, the restaurant aims to "strip away the stuffy formalities of dining and give a home from home, bohemian experience" making it a great place for casual after work drinks or a bite to eat. The hotel has also just launched a new app, with Second Screen, which allows you to get a feel for the hotel and restaurant before you arrive. It's similar to the information on the website but presented in a really user-friendly and mobile optimised way. The news feed is a little out of date (last update was 9 months ago) but the restaurant section is super helpful. You can browse the menu, book a table and flick through images in the gallery so you know what you expect before you arrive. 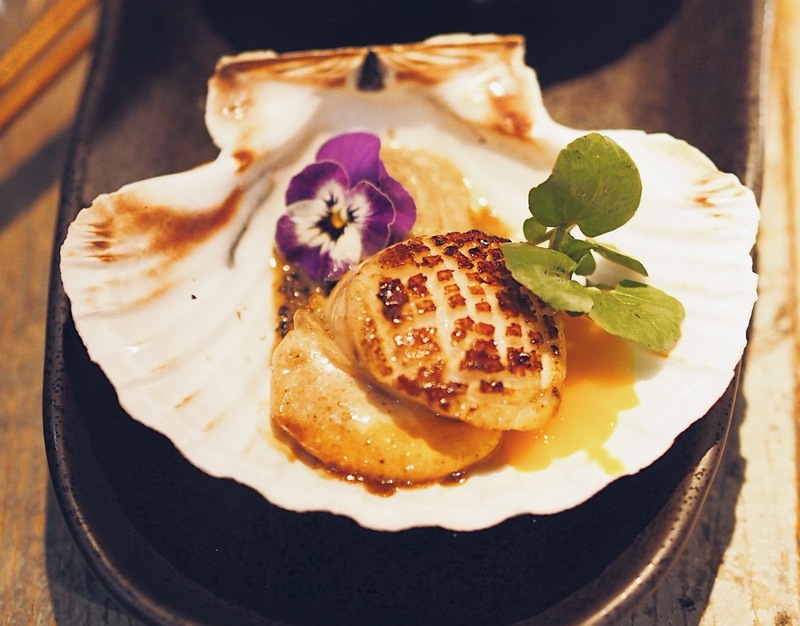 The food is a mix of modern British cooking and is presented beautifully. 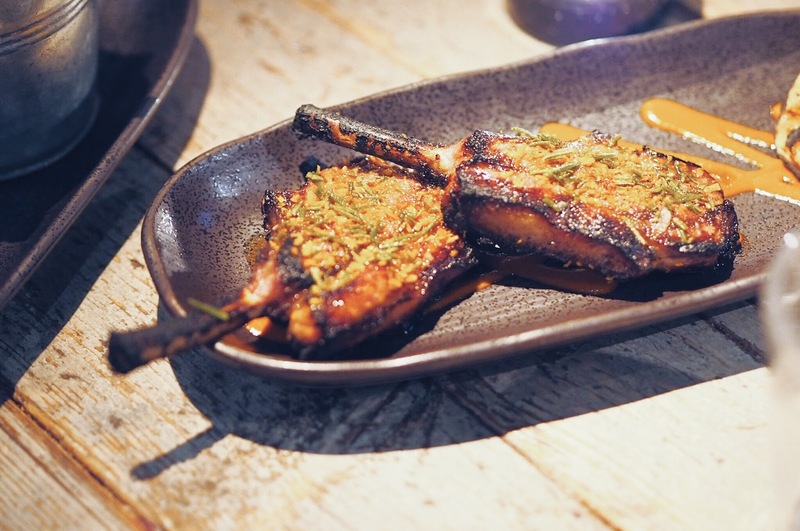 All of the dishes are created using local-sourced, seasonal ingredients and I have to say, we were really impressed with how inventive and carefully constructed all of the food was. 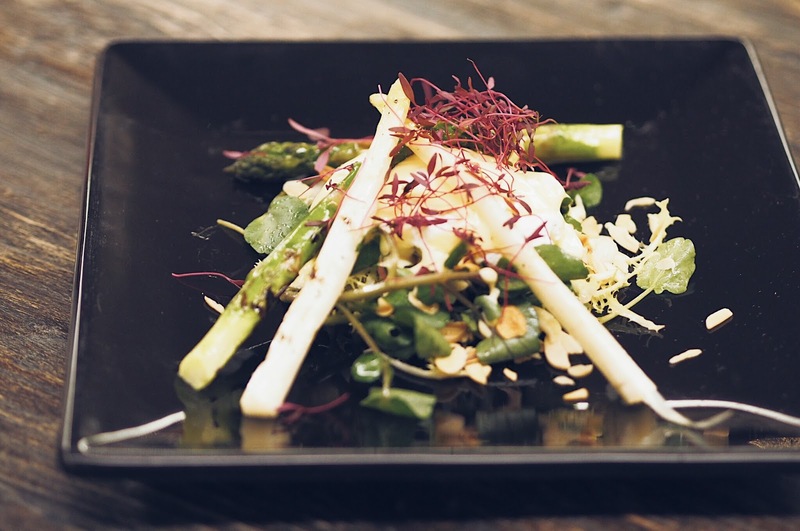 There's plenty of classic dishes on offer such as the grilled white and green Asparagus, which comes served with a perfectly poached egg, watercress and a light acid butter sabayon dressing. I really like how each dish has its own inventive twist which takes things up a notch, such as the addition of toasted almonds which gives this dish a really lovely crunch. 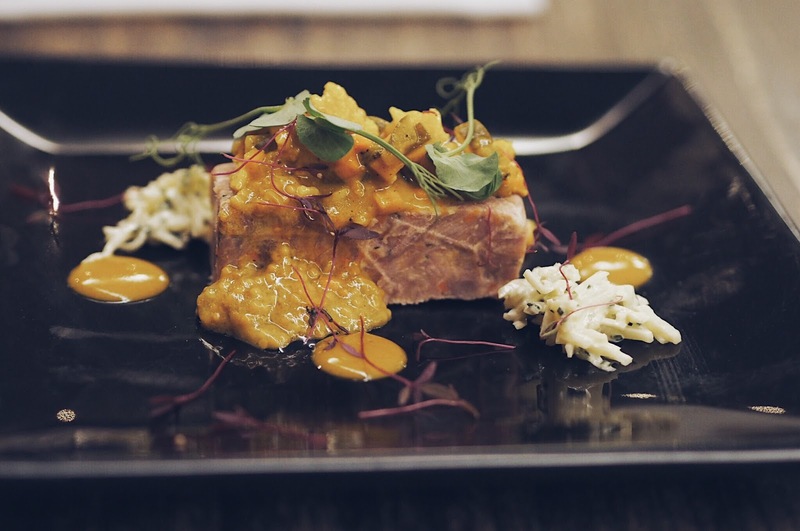 Other starters include poached lobster salad, nettle soup and the pressed ham hock which comes served with piccalilli. 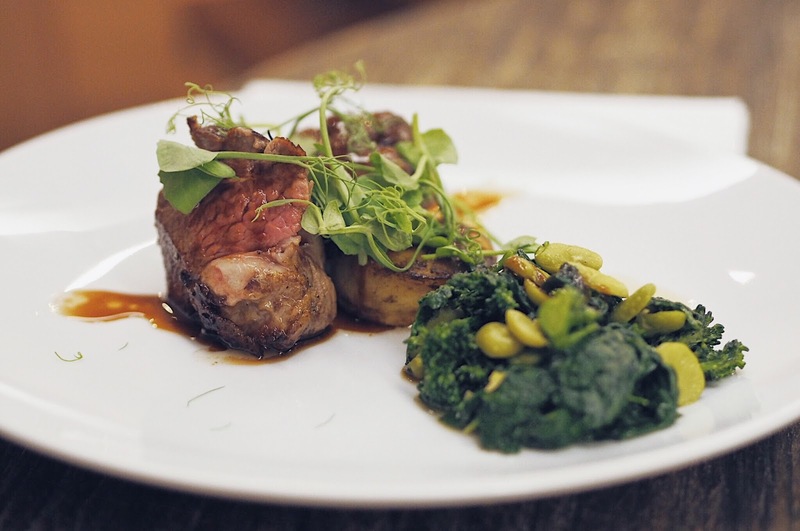 For mains, the rump of lamb is well worth an order. Served with saffron celeriac, grilled artichokes, broad beans and a chorizo and red pepper croquette. The meat is super tender and served perfectly pink. And while I don't usually order chicken in restaurants - I can safely say the chicken dish here is delicious. 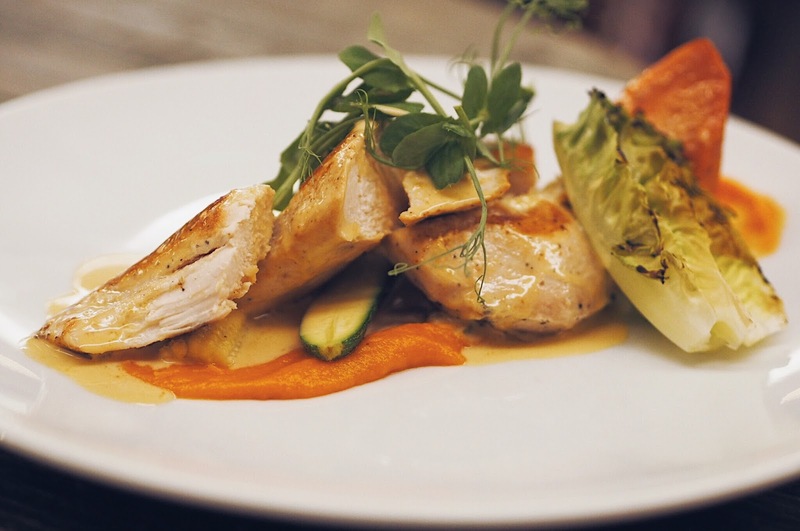 Chunks of succulent chicken with pancetta served alongside sweet potato, roasted root veg and a delicious veloute. The restaurant doubles as the hotel bar so you can get pretty much anything your heart desires in the way of drinks. There's a wide range of wines, including red, white and sparklings plus a decent selection of beers and cocktails. I have mixed feelings about Wildheart to be honest. The food was brilliant - really delicious and beautifully presented, I just wasn't overly keen on the decor or the atmosphere. It feels a little dated with the gold booths and deep purple walls and with SO many good restaurants in the area - it's hard to recommend it over other places. I have to say though - that lamb was bloody good! Find out more: Visit the website over at http://www.sanctumsoho.com. You can also download the app over here.